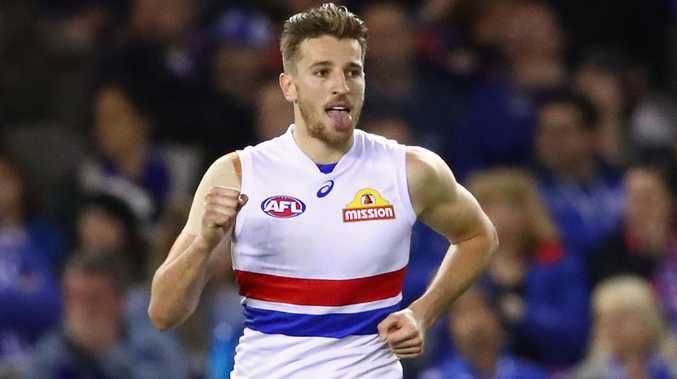 WESTERN Bulldogs star Marcus Bontempelli has put pen to paper on a contract extension with the club. 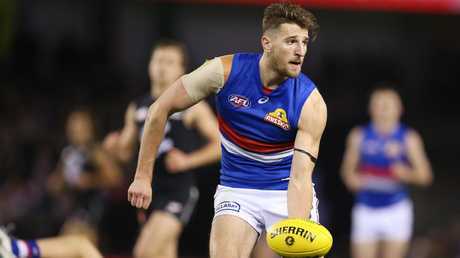 The premiership midfielder has agreed to a new two-year deal that will keep him at the Bulldogs until at least the end of 2021. "I've made no secret about the love I have for the club, and how I want to play a key role in the future success of this playing group," Bontempelli said. "I had no hesitation in getting it finalised now, with a year still to go on my contract, so I can concentrate all my energy on playing footy and helping the team. "We have a really talented group of young players and I'm excited about what they are capable of producing with a bit more experience under their belts. "We have created a great environment and we have the right program and people in place to take this group to the next level." Bontempelli was selected by the Bulldogs with the fourth pick in the 2013 national draft. The 22-year-old has played 104 games and is already an All-Australian and a two-time best-and-fairest winner. "There's no doubting the importance of Marcus to our playing group, and we're obviously thrilled to have extended his contract," list boss Sam Power said. "Marcus has a great presence on and off the field, he leads by example, he is mature beyond his years and he has so much footy ahead of him. "Finalising the contract extension so early effectively means we've secured Marcus for three more years. We're pleased with how the negotiations were handled by the club and his management team. "We look forward to seeing Marcus in the red, white and blue for a very long time to come."